How to Buy the Cusco Tourist Ticket? The city of Cusco is the main destination of South America, is one of the most cosmopolitan cities in the world and a mix; Not a fusion of cultures that can be seen in every street of the city, in each house built by people who hid incredible details of their own culture in the buildings they made for their conquerors. It has dozens of archaeological parks, museums and is considered one of the most beautiful cities in South America, and is the only entrance to the Inca city of Machu Picchu. The Tourist Ticket of Cusco includes 16 of the most important cultural tourist attractions within the city of Cusco and its surroundings . 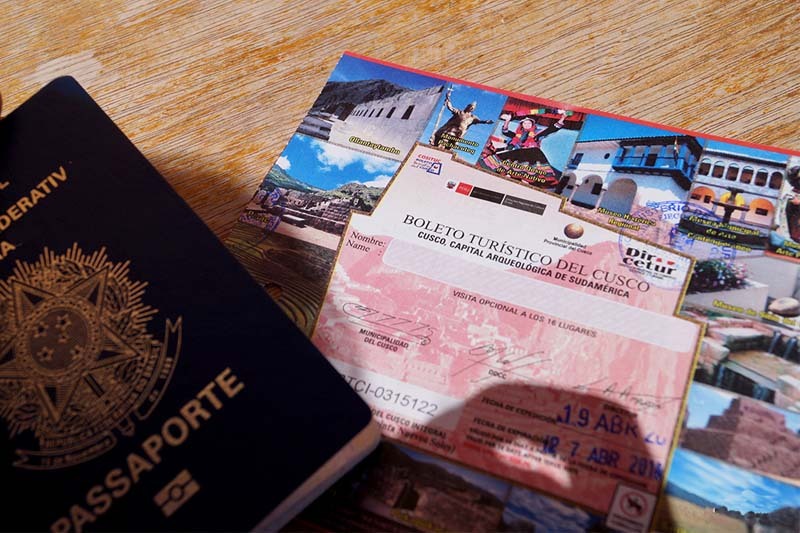 Next we will indicate how to buy the “tourist ticket of Cusco” , Since unlike the Machu Picchu Tickets , they have to be booked well in advance; The tourist ticket of Cusco, can only be purchased in the city of Cusco, in person and with your passport . It has different types of Tourist Ticket; The Tourist Ticket of Cusco general (total), allows you to enter 16 of the most amazing places in the city of Cusco and its surroundings; But there are also partial tickets that will allow you to enter these places separately; Each one of them allows you to visit a certain group of the most outstanding tourist places of the city of Cusco, among which are some of the most incredible places in the world. This ticket includes the 16 main attractions of the city of Cusco. It will allow you to visit all the places included in the partial tickets, tourist circuits 1, 2 and 3. This ticket includes the visit to the main archaeological parks of the city located in the surroundings; Among them is Sacsayhuaman, whose gigantic stones armed with incredible perfection, make it one of the most mysterious places on the planet. Cusco possesses a considerable amount of museums that show the cultural and historical wealth of the Inca empire. The Sacred Valley of the Incas was the backbone of the Inca empire and houses some of the most important Inca buildings left by the amazing civilization in towns like Pisac and Ollantaytambo. What is the price of the Cusco Tourist Ticket? The Cusco Tourist Ticket does not include entrance to Machu Picchu . Does not include guide or transportation services. The validity of the tourist ticket starts from the day of purchase (check the validity of each ticket). The ticket can only be used once in each tourist attraction. You do not need to book the Tourist Ticket of Cusco in advance you can buy it in person, once in Cusco. Tickets Machu Picchu (need to be booked in advance). Tickets of the Religious Circuit of Cusco (you can buy it once in Cusco). ← How to Hire Guide Machu Picchu?